The following books form an important part of your Law Study Material 2019 needed to crack the exam successfully. Of course, this is not an exhaustive list whereas it is a list of a few books which must be covered by the candidate to get a strong hold on their basics. Objective English for Competitive Exams by Edgar Thorpe (Pearson): Another bestseller, it caters to all the different types of English questions asked in the law entrance exams and forms a must have in the Law Study Material. High School English Grammar and Composition Book by Wren and Martin: Very useful book for all competitive exams which helps clear the candidates' basics in English. Word Power Made Easy by Norman Lewis: This book comes highly recommended for Law Study Material no matter how great command you may have over the English language. This book is the bible for tackling the English section in many competitive exams. Legal Aptitude for CLAT and other Law Entrance Exams (Pearson): For all aspirants, this book will serve as a very useful guiding mechanism to steer through all the intricate concepts involved in the legal aptitude section. This is a Law Study Material must have. Quantitative Aptitude for Competitive Exams by RS Aggarwal: This book, ever since its release in 1989 has made a special space in the study materials for different competitive exams. The book outlines a gamut of different concepts and helps the students clear their problems. Objective General Knowledge by Edgar Thorpe (Pearson): For the General Knowledge sections, continuous and intense practice are the only way to go. This book will help the students brush up on different types of General Knowledge. A Modern Approach to Logical Reasoning by RS Agarwal: The book will give you a basic understanding of different topics. Law Study Material usually includes this book along with other verbal and non-verbal reasoning books. Engaging with a coaching institute can prove to be extremely fruitful for many people who need the proper guidance to ace the test. There are several benefits of engaging a coaching institute. Due to structured teaching pattern and continuous practice tests conducted, on average the accuracy of the candidate increases. Self study combined with coaching is more effective over time because of the individual attention that can be provided in a coaching centre. The classes uplift two categories of students, ones who lack motivation and discipline to self prepare and students who struggle with basics or are from another field that like commerce and struggle with reading speed. The attention and care given by these institutes bring them to par with students who have been preparing and already have a knack for it. The instructors are usually seasoned professionals thus they bring more quality to the teaching and can promptly solve doubts. Apart from all this many things may form part of your law study material. It should include things like newspapers and other periodicals. They help the candidate with increasing their reading speed. A simple habit like this will help you in two things: firstly, it will keep you apprised with the current affairs and news and secondly, it will help you read faster gradually provided you read on a regular basis. Now many people wonder why this is important. 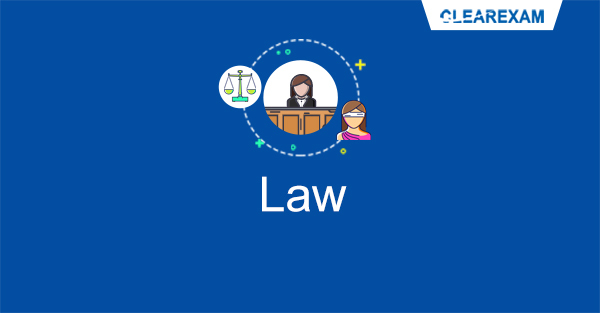 This is pivotal as the law entrance exam not only tests your legal aptitude in several areas, it also tests your performance under a specific time period which shows the candidates ability to perform under pressure. Hence this habit of reading regularly will enable you to naturally increase your reading speed which would in turn help you save time. Many students and candidates wonder as to how to prepare for law entrance like CLAT and DU LLB. It important that the candidates prepare for the exam properly since it enables them to take admission in the highly coveted law schools of the country. Form a Study Plan: A good study plan will help you balance your Class XII studies along with the entrance preparation and other extra-curricular activities. Maintain Consistency: It is important that you maintain consistency while preparing as cramming the whole syllabus in the last 10 days will not serve any purpose. Be Disciplined: Once the study plan is formed, the candidate should stick to it. They should read the material in a timely manner and be aware of all the concepts ahead of time. Inculcate A Reading Habit: For efficient preparation, inculcating a reading habit is extremely important. It will help in staying apprised with the latest news and current affairs from India and rest of the world. It will increase your reading speed which will prove to be beneficial as you will be able to go through the lengthy questions. Revise Regularly: While revising and reviewing the course, many doubts and questions will arise which again become important since it will help you cover and fill the gaps in your preparation. Regular Mock Tests: Once you feel you have covered everything, make sure that you take ample mock tests and complete practice question papers on a regular and timely basis. Be Positive: It is important to stay positive about the exam and your preparation since any kind of negativity will adversely impact your chances of cracking the exam. Root out all the negativity and de-motivation from your immediate environment so that you constantly stay determined and positively motivated.